"It's not enough to know your jicama from your heirloom tomatoes these days. 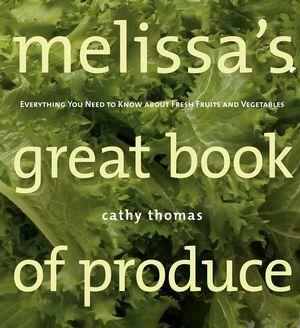 When it comes to fruits and vegetables, there's a whole new terrain and this book is your GPS. From dragon fruit to yuzu, this smart, savvy, handsomely illustrated guide tells you how to recognize it, buy it, prepare it, and cook it, with edgy recipes from all over the world." Chances are, you're tempted to venture beyond the standard fruits and vegetables when enticed by the array of fresh produce at your grocer's. But then you're stymied. Exactly what is that? Is it supposed to be eaten cooked or raw? Should it be firm or soft? Do you peel it? How do you get to the good stuff? Melissa's World Variety Produce has been in business for over 30 years, and is the country's leading distributor of specialty fruits and vegetables. They market literally thousands of items. Because of their constant search for new fruits and vegetables, as well as their high standards of quality, owners Joe and Sharon Hernadez have formed alliances with many star chefs.With their resources and knowledge, they bring their specialized team, including corporate chef Ida Rodriguez and marketing maven Robert S. Schueller, who is known as the "Produce Answer Man," and is frequently quoted in magazines (Vogue, Martha Stewart Living) and newpapers and does many radio interviews, trade shows and conferences. The company feels so strongly about this project that they are planning to buy back 15,000 copies of the book. 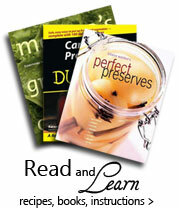 Author Cathy Thomas is an award-winning food editor at the Orange County Register. Last year she won first place in the Best Food Columns category (large newpaper division) of a national contest sponsored by the Association of Food Journalists. She also writes for magazines and teaches cooking. Along with a university degree, she has studied in London at Le Cordon Bleu, in Paris at La Varenne and with renowned pastry chef Gaston LeNotre.